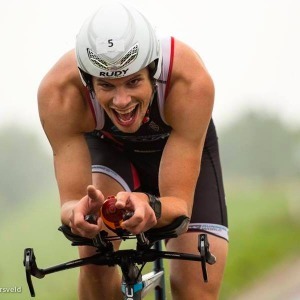 Due to my curiosity and my own sports career, from 400 meters, I went to cycling, to long distance triathlons, my coaching career developed from track and field coaching, to guiding and coaching athletes, cyclists and triathletes ranging from beginners to the European level. With a PhD in statistics, objective data are important to me. However, the failure of my own career as 400m runner showed me that the mental aspect and personal approach are equally important to perform and have pleasure. I coach track and field athletes, triathletes, cyclists, trail-runners and mountaineers from beginners to European top 3 level, and from novice to Mount Everest climbers. Starting at my 16th with track and field coaching for children, I developed my coaching skills and qualifications from track & field and running, to cycling and triathlon. My coaching philosophy is affected by my PhD in quantitative social science (statistics) as well as by my unsuccessful 400-meter top sport career as senior due to anorexia nervosa. In my coaching I rely on the one hand on objective data, such as heart rate and wattage, I use scientific proven training methods (which I also develop and test at my job as researcher at Sport Medical Advice Center Mid Netherlands). At the other hand, however, I use a personal approach, with attention for mental wellbeing, and in which joy in sports is the core of working towards goals. Both sides, science and the soft side, are in my opinion equally important. Although I use scientific foundations for my training plans, I know as social scientist and statistician that athletes aren’t scientific numbers, but individuals. So, for each athlete you have to find out which scientific principles result for a certain athlete for an optimum result. I use regular (field)tests and, at least, weekly communication with my athletes to provide a weekly plan that meets athletes' time schedule and current fitness. I only except athletes who working al least with a heart rate monitor. Success. Coach Hidde Bekhuis has been notified of your message.